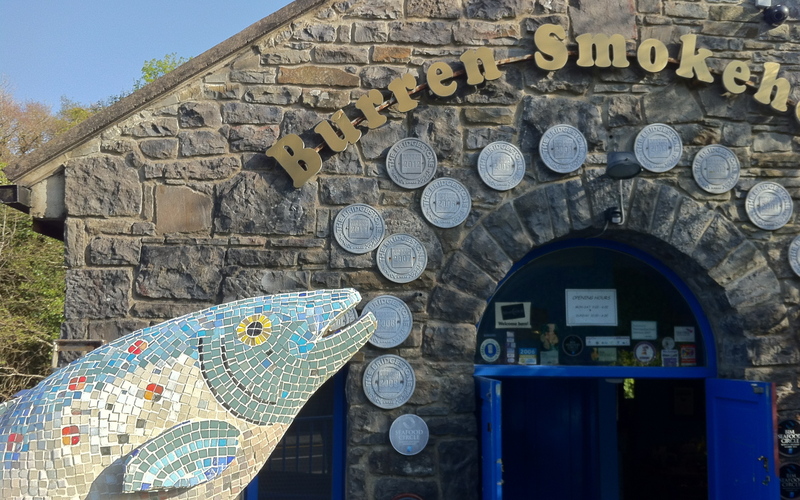 The Burren Smokehouse is a family run business started by Birgitta and Peter Curtain to keep up with the demand which had built up around the house-smoked salmon served in the family’s Lisdoonvarna pub, The Roadside Tavern. Leaders in the local Slow Food movement, they carefully source quality raw materials like trout, mackerel, cheese, and salmon direct from the wild west coast of Ireland to produce award-winning specialties like Burren’s Hot Smoked Organic Salmon with Honey, Lemon and Dill, which won 2 gold medals at the Great Taste awards and was recently served to Queen Elizabeth II as part of a state dinner at Dublin Castle. 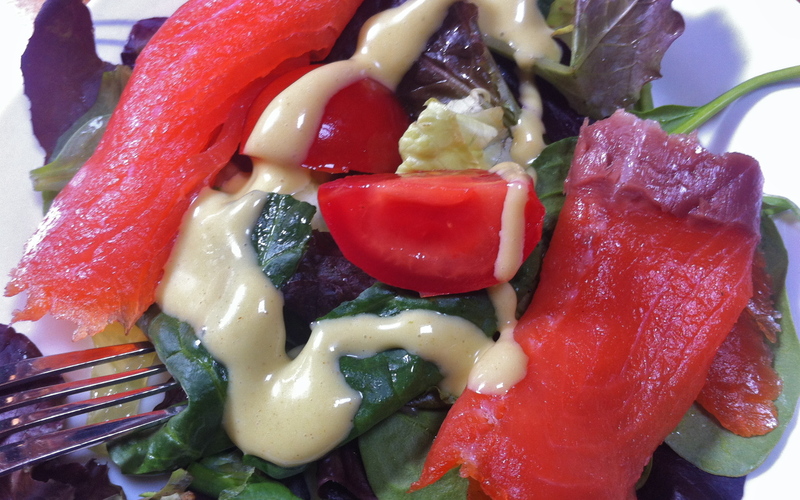 While widely available via mail order now – as well as at Dean & Deluca – there are few locations as atmospheric in which to enjoy their ruby-red salmon than nearby Burren Wine and Food. 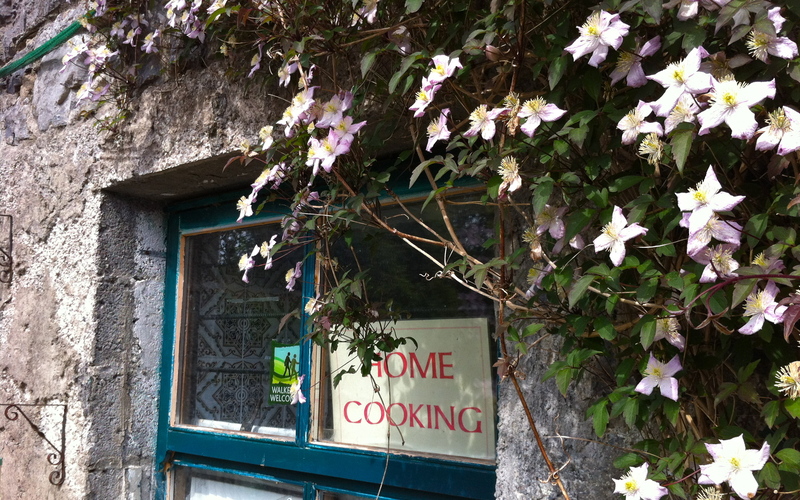 The sign in the window promises home cooking and that’s exactly what you’ll find inside the century-old stone coach house. 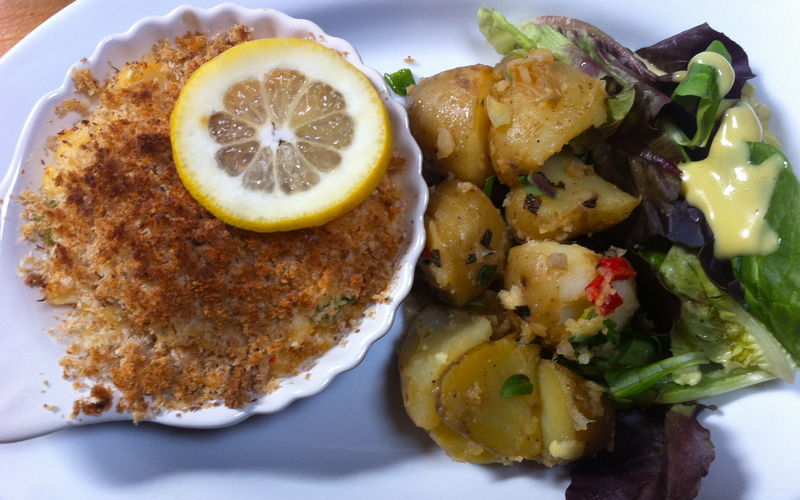 Nestled in the Burren hills, owner Cathleen Connole grows or sources most of the food she serves from local farmers and traders, including fish from the Burren Smokehouse and Liscannor crab. The only exception is the organic house wine. The Galway Bay label is produced in the Languedoc by her brother, Noel.